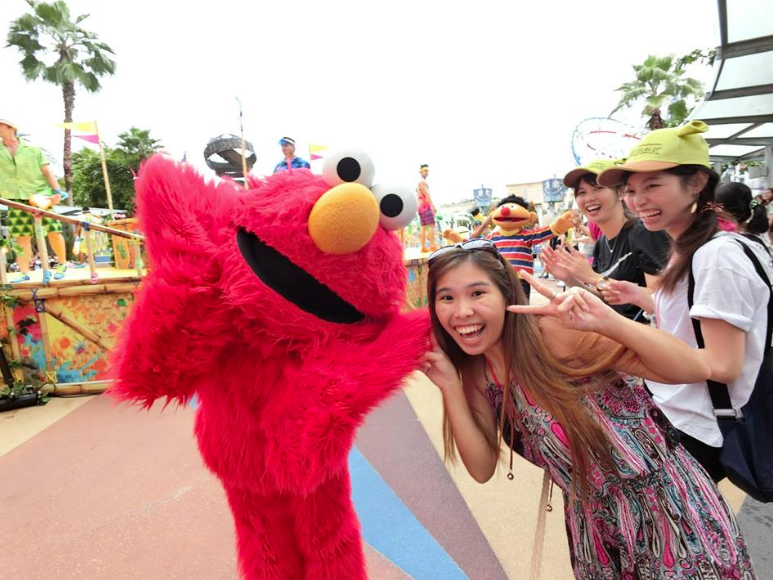 Today I will be sharing about Resort World Sentosa Fans Day Out 6!!! It happened on the 23-July-2016 last year! But I could only pen them down this year because I spent too much time playing Pokemon Go that time!!! LOLS!!! So how do I come to know of it? 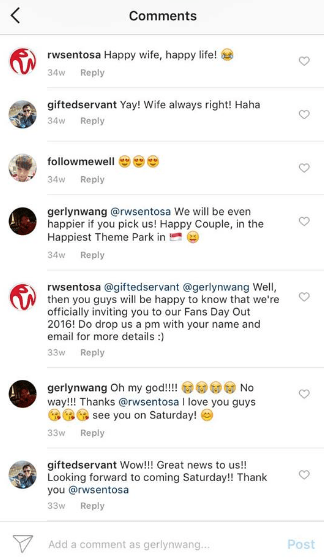 Obviously I knew it because I stalked, I mean FOLLOW RWSentosa Instagram page! They were inviting their biggest fans to join them to an exclusive fun experience like we did the previous year in 2015! 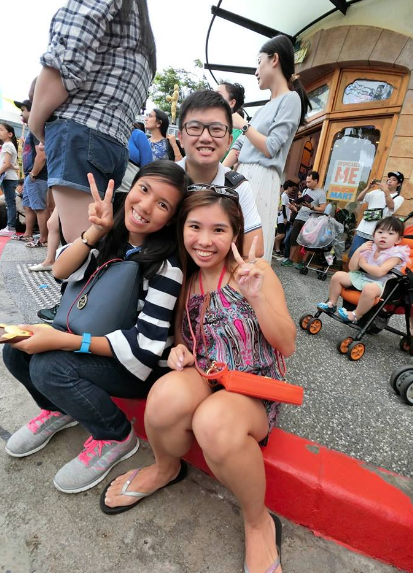 To able to join them this year (2016) is very simple, SHARE a picture of yourself showing how excited you are for the upcoming Fans Day Out! 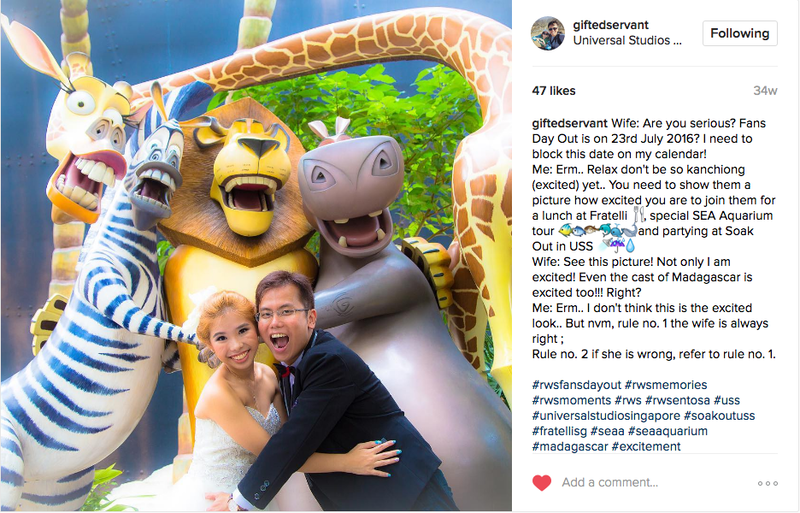 And so Boon Hee actually shared one of our Pre-Wedding shoot in Universal Studios in 2014. I picked this photo as I think this is one of the more exciting ones and we have got the cast of Madagascar excited too.. I mean more like scared / shocked!! LOLS! Hooray! 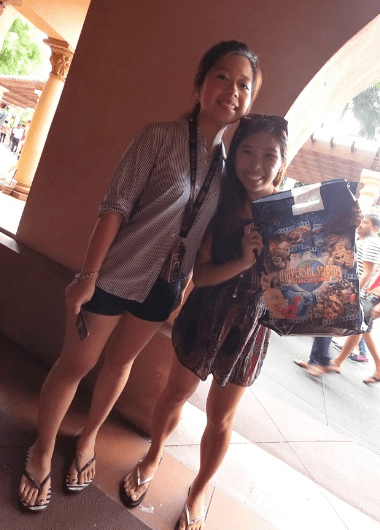 We won the invites to RWS Fans Day Out 2016!!! 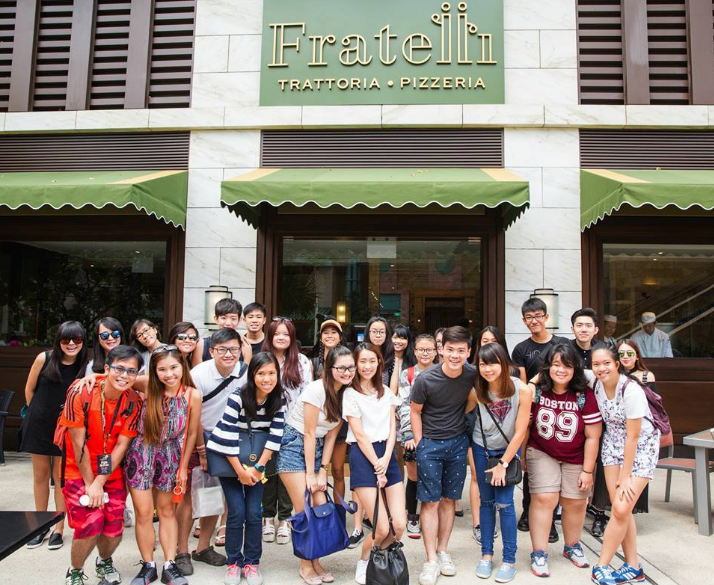 Fratelli, meaning “brothers” in Italian, brings you two dining experiences in one location – the all-day-dining Pizzeria and the dinner-service-only Trattoria. 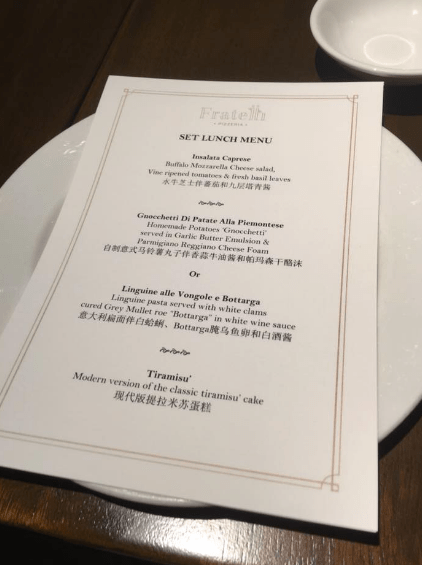 Helmed by Michelin-starred chefs, brothers Enrico and Roberto Cerea, whose family runs the acclaimed Da Vittorio ristorante in Italy, Fratelli aims to indulge your craving for the most authentic Italian flavours with refinement and style. 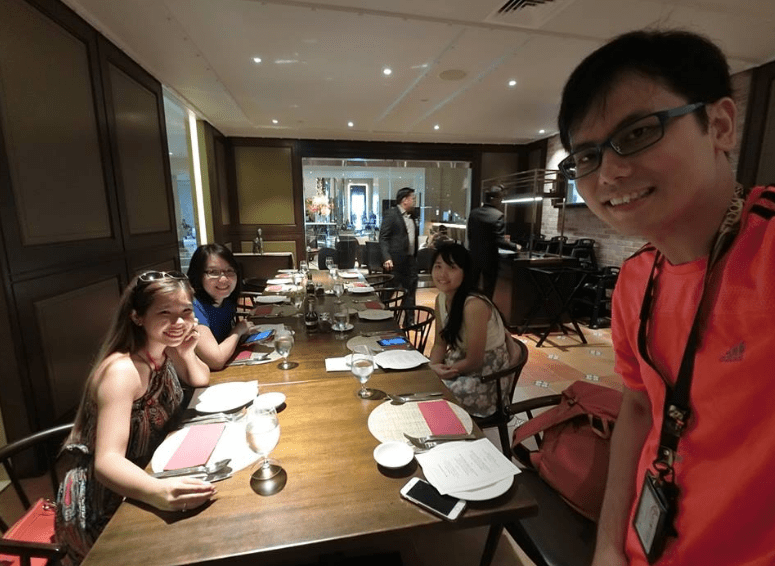 We are served a 3 – course set lunch. Us with our new friends, Michelle and her god-sister. 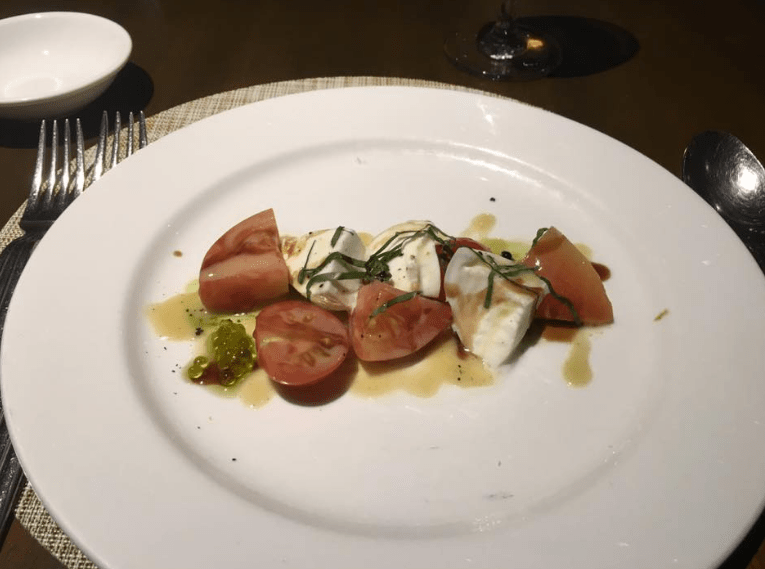 Consist of Cheese Salad + Tomatoes + Basil Leaves. 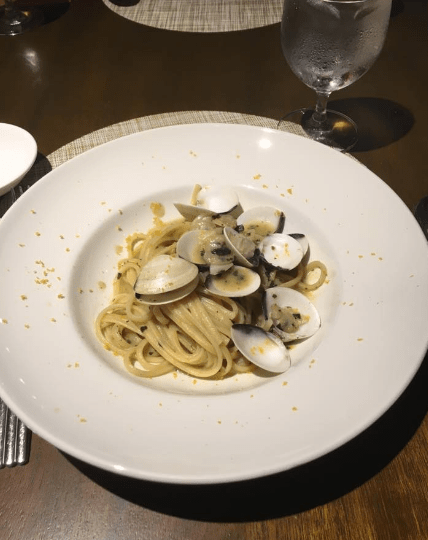 A very special dish, the taste is very special that it’s something new to my palate. I actually prefer his than mine so I actually stole the potato over because it taste so chewy and yummy!!! 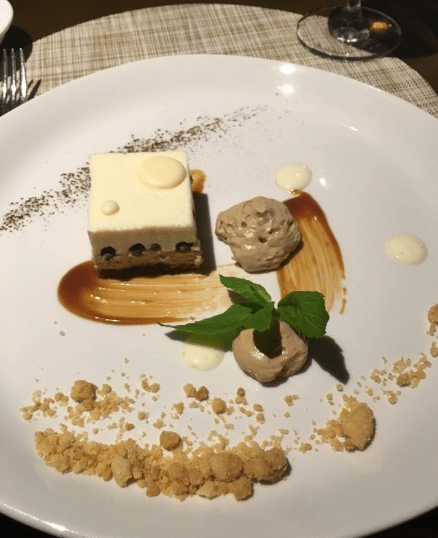 This tiramisu is actually taste very special and nice because the portion of coffee to liquer is perfect, it’s a little sweet, a little bitter, the crunchiness of biscuits is amazing. 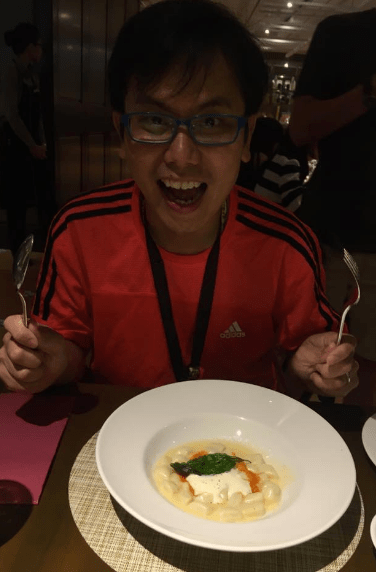 I almost wanted to tell Boon Hee I wanna ask for an extra serving!!! LOLS! But we cannot be so greedy la!!! 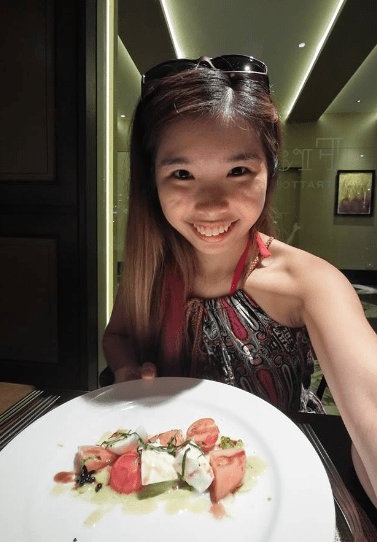 We really like Fratelli a lot, the food is good, the plating is awesome too. 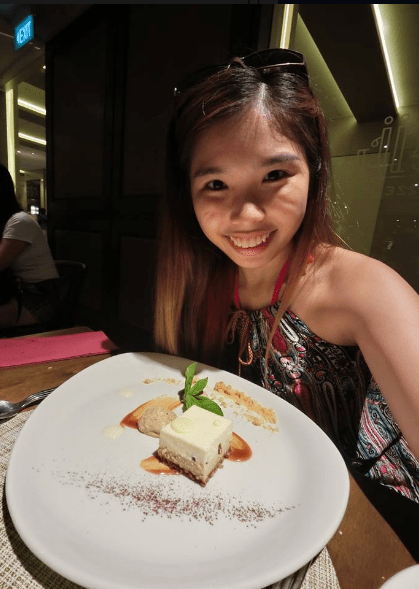 All the food look so pretty and you can see, we are all busy taking pictures of the food and any angle looks amazing! LOLS! 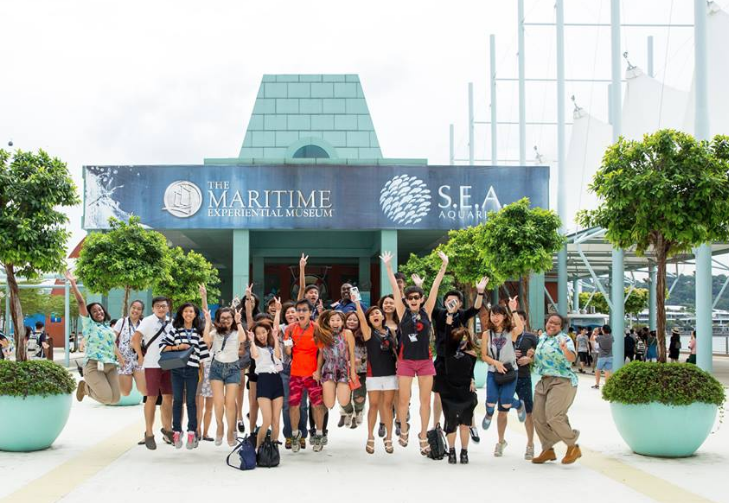 1:30pm to 4:30pm Special Tour @ SEA Aquarium and Dolphin Island. 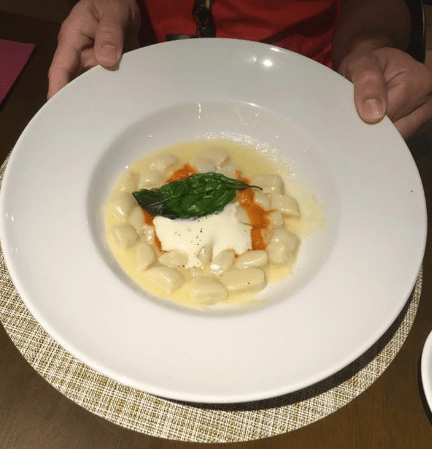 We first visited my favourite…. DOLPHINS!!! 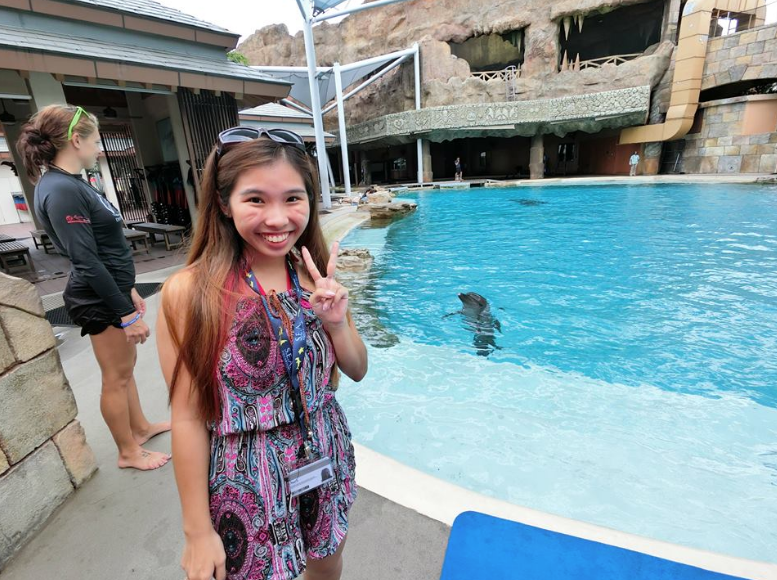 If you don’t know, Dolphin Island is actually located inside Adventure Cove Water Theme Park. Over here, we get to experience the Dolphin Observer programme (aprox. 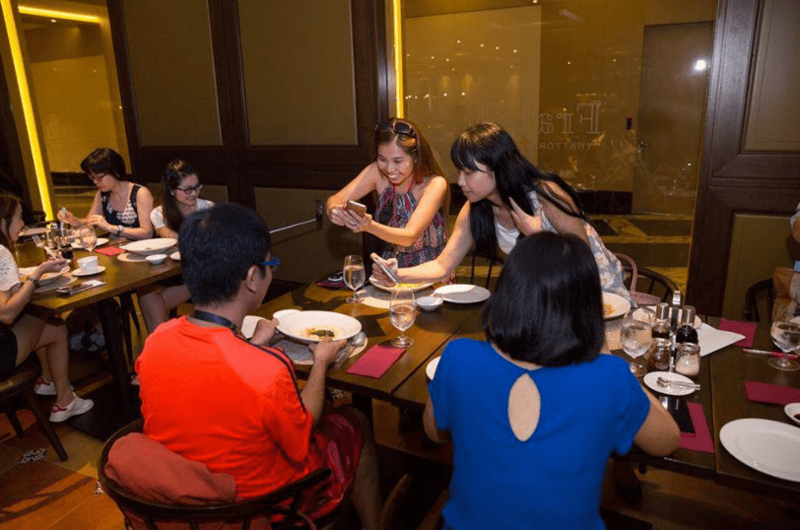 $58 per pax) for free but of course a shorter duration too. 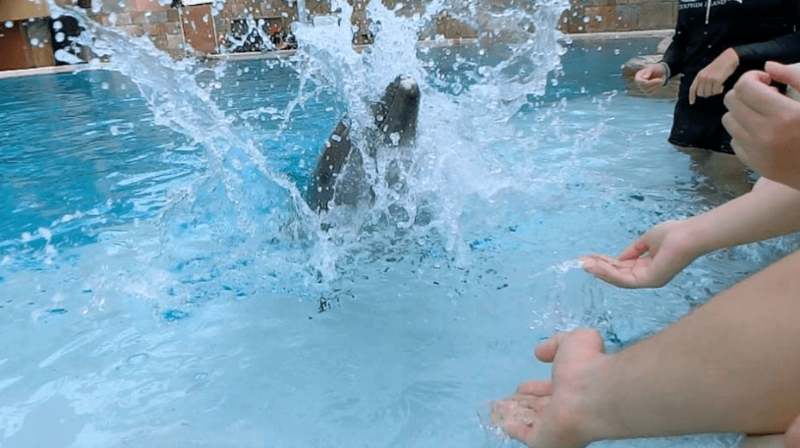 We played splashing game with Dolphins…. Learned more about Dolphins… Like now I know that the Dolphins make noises using their Blowhole! 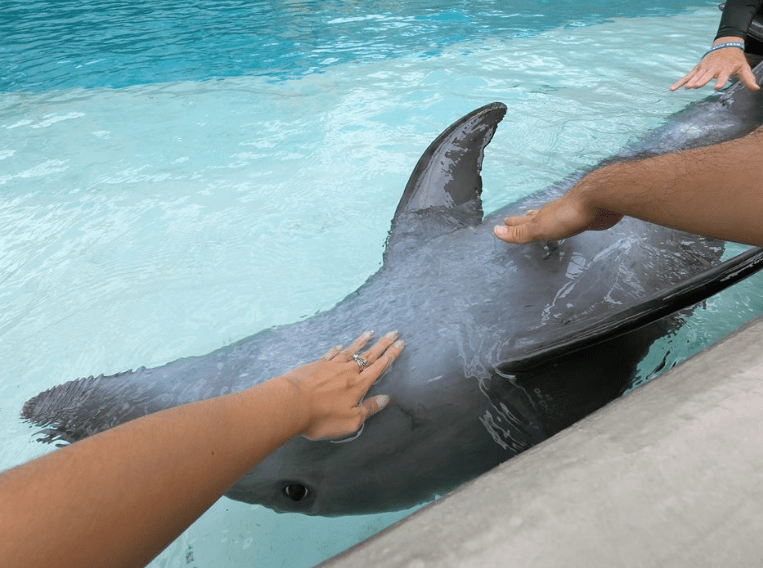 We also feel and touch and interact with the Dolphins without going into the water!!! 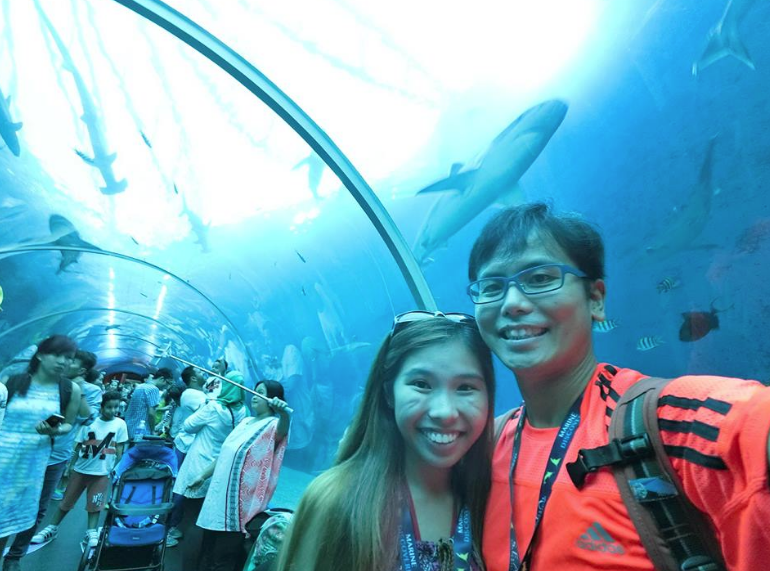 After playing with the Dolphins, we head over to the biggest Aquarium in South East Asia. 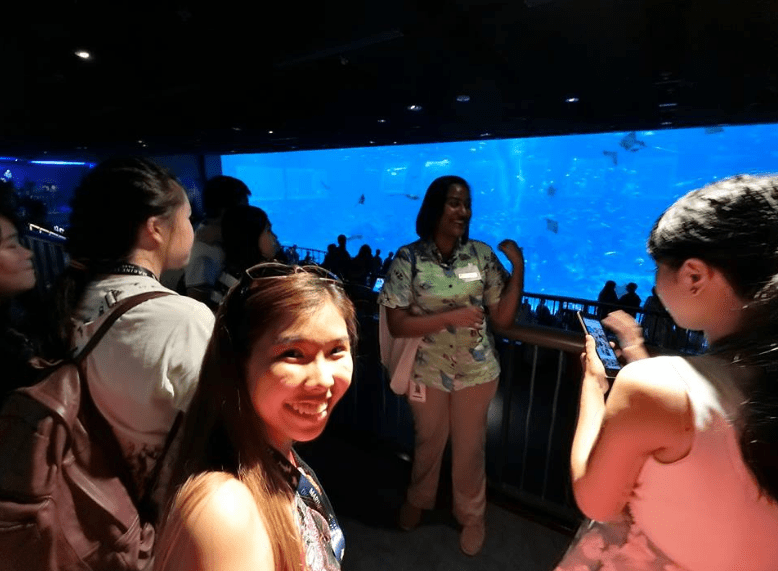 We are right now standing in front of the World’s largest Aquarium viewing panel of 36 meters wide and 8.3 meters tall!! This viewing panel at Open Ocean habitat is equivalent to two rows of three double-decker buses stacked atop one another. And you can actually dive inside here and get the PADI certification!!! LIKE WHAT?! Next up, our guide, Sylvia brought us to visit the other 49 habitats giving us a private and detailed tour. 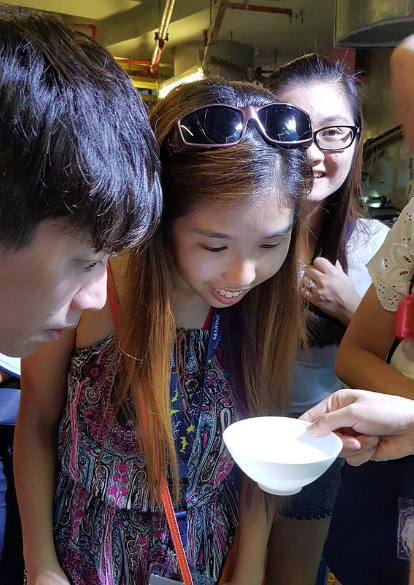 We are introduced to the different Jellyfishes and learning how they are being cultivated. You can’t see but I can see it… This are the polyps of jellyfish which resembles sea anemone I call it the tiny tiny jellyfishes which looks like shreds of tissue paper! LOLS! But they are needed for the growing of the ocean. 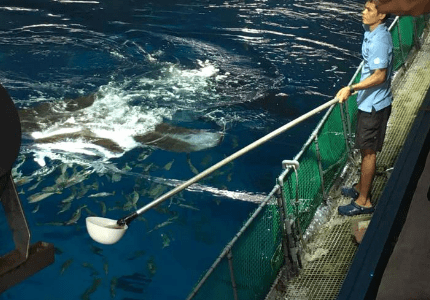 Next is the Manta Ray feeding time! The previous time I saw Manta Rays is when I was Snorkelling at Australia, Coral Bay. Manta Ray are huge rays that can grow up to 7 – 8 meters long but they are not threatening because they feeds on tiny marine organisms like plankton, small fish and shrimps! Manta rays do not actually have teeth and instead sieve the food particles out of the water using rows of tiny plates in their mouths, which they funnel in their mouths as they swim. They are very vulnerable and they are endangered…. Do not mistake them for the one that sting Steve Irwin.. That is a stingray and this is Manta Ray… The dish we usually eat is a Stingray too. 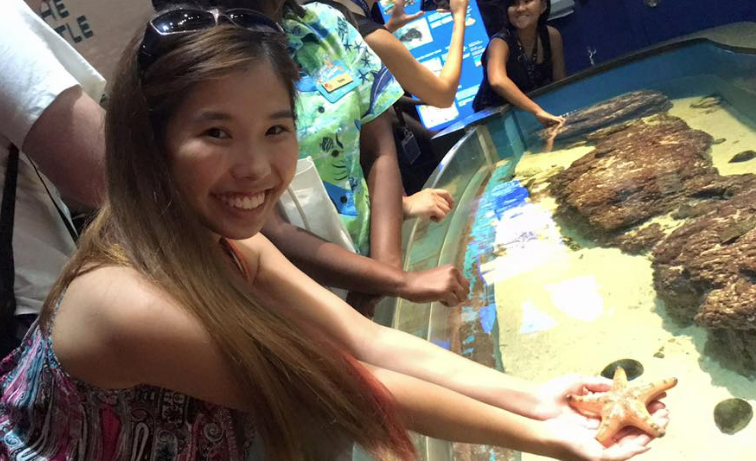 After the back of the house tour, we went to the Discovery Touch Pool to visit the Starfish (Sea Star) and Sea Cucumber. Then we visited the Shark Seas….. So scary to be walking in the tunnel surrounded by SHARKS!!! At the end of the tour, we also understand a little on the Noah’s Ark. 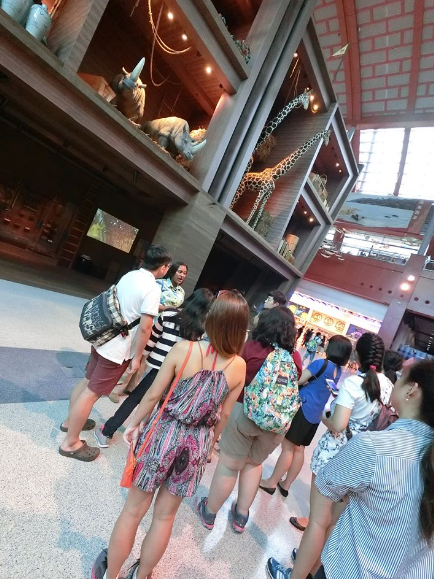 Lastly, I would like to thank our Tour Guide, Sylvia for giving us a memorable tour in SEA Aquarium! Thanks for sharing with us so many information which we would never know because of you. 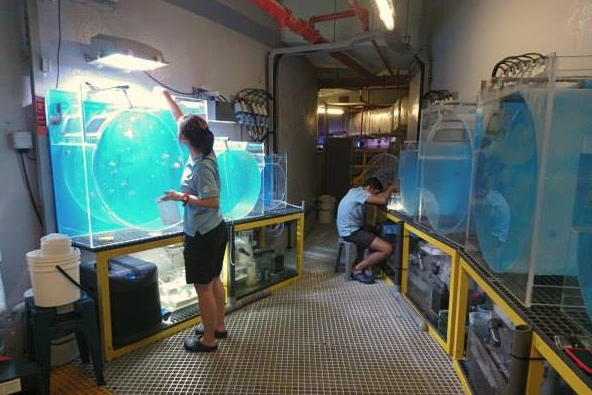 Now I am more in love with our tiny Singapore because we host the greatest Aquarium! 5pm to 6pm SOAK OUT PARADE! What is the SOAK OUT PARADE???? 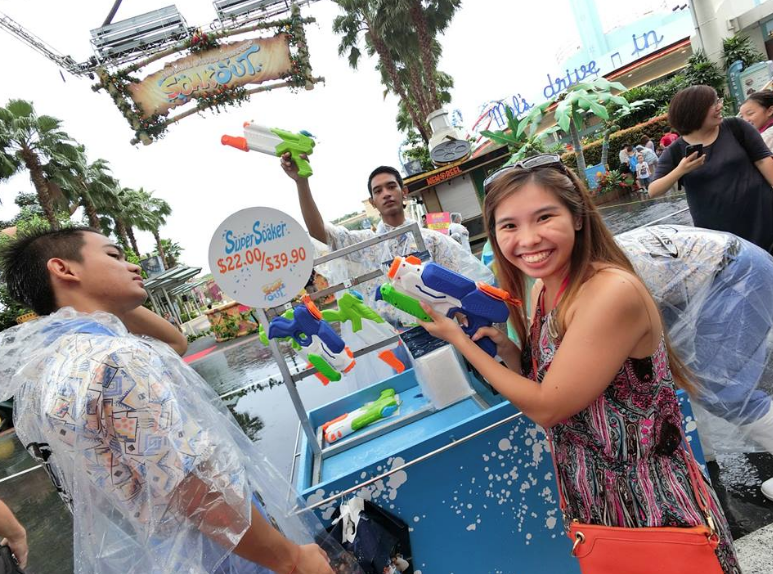 It is the first ever water party in USS which brings visitors a soaking good time this summer…. 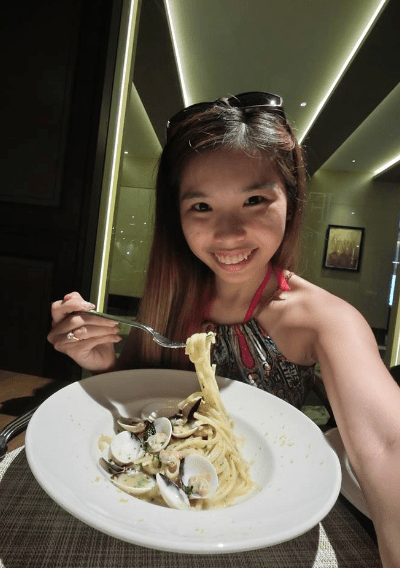 Erm wait… Singapore is in Summer all year round what.. But why the parade is only in July to August??? I had so much fun!!! USS please bring the parade back this year!!! 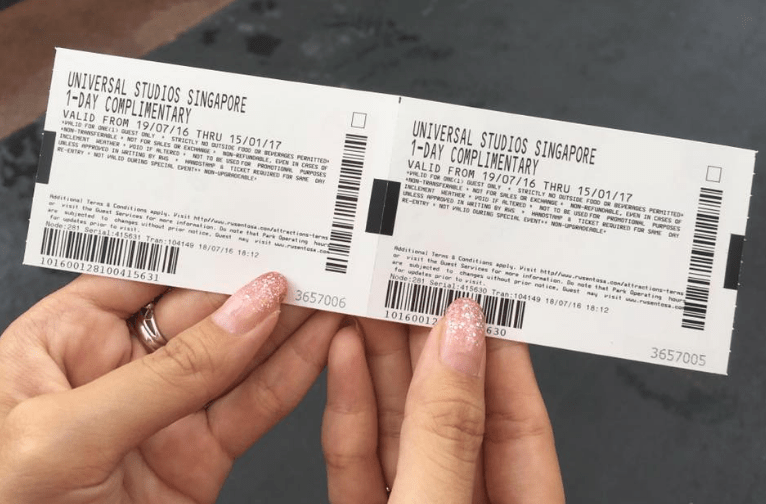 1-Day complimentary ticket to enter USS to get ready for the Soak Out Parade!! My new found friend, Melissa and her boyfriend. We are waiting for the Soak Out parade to start at the Hollywood Zone. 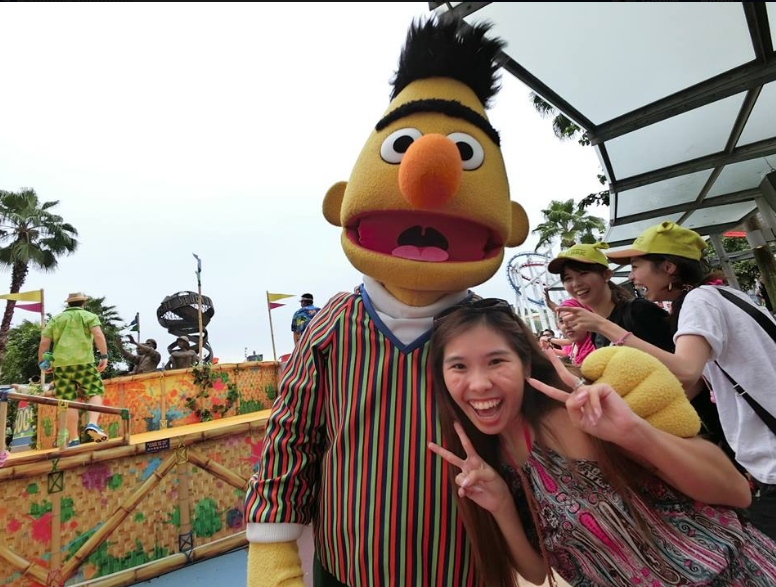 Bert is so friendly… But his costume don’t seems like he is ready to GET WET!!! After the parade we are entirely SOAKED OUT!!! 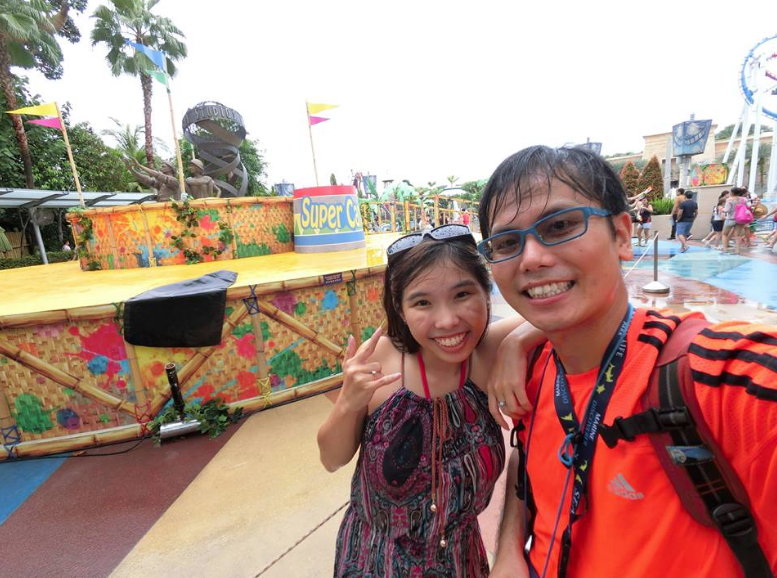 We chose to be at the WET ZONE to experience the most fun!!! 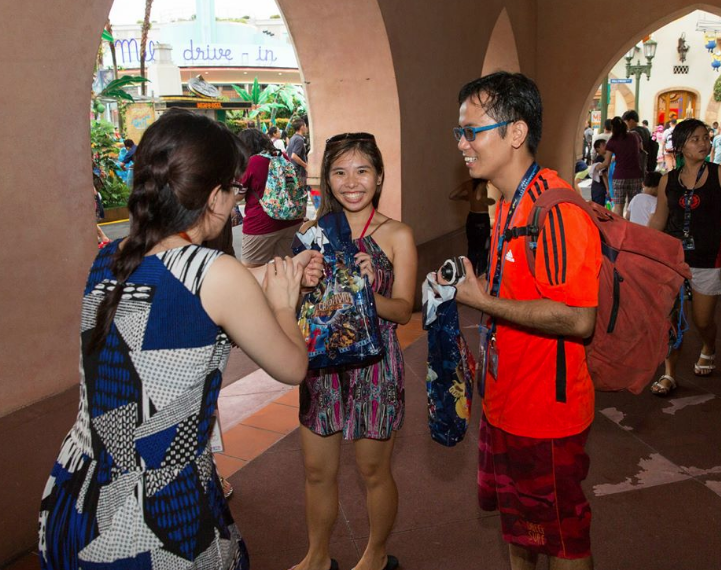 We did not prepare a spare change of clothing so we actually walk around in this attire and dripping water all over USS!! LOLOLOLS! The SOAK OUT PARADE IS DAMN AWESOME!!! 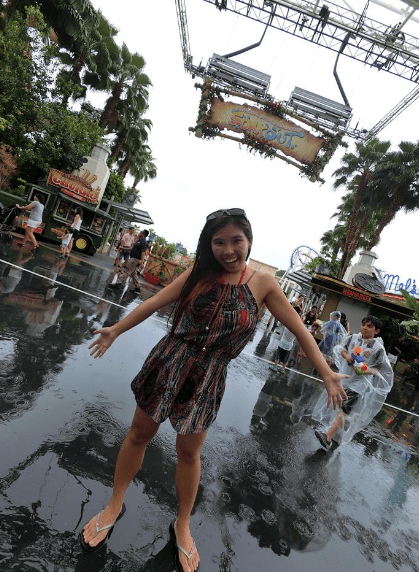 After we had so much fun in the Soak Out Parade… As you can see, entirely soaked out…. We are given goody bags!!! Special thanks to Sherri for entertaining our emails and also for sending us the event photos! It’s a pleasure to know you! 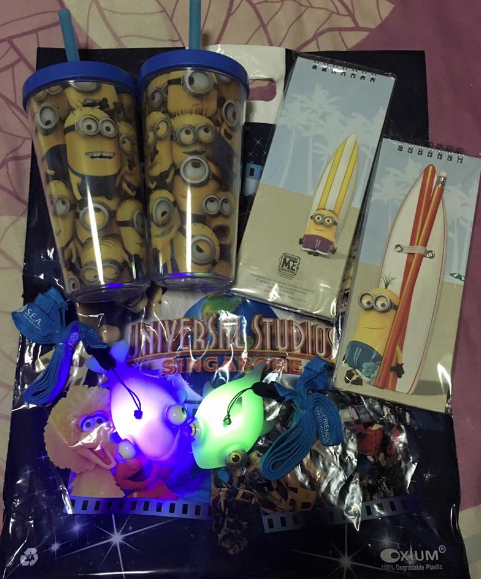 Goody Bag consist of: Minion Note Pad + LED Fish + Minion Tumblr. 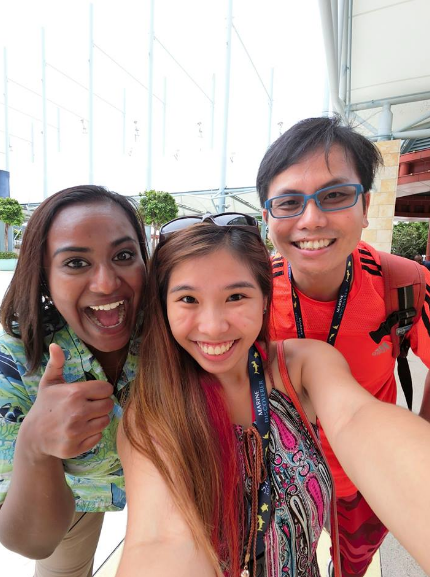 Thanks Resort World Sentosa for the wonderful Fans Day Out!!! We eat full full, drink full full, play full full.. 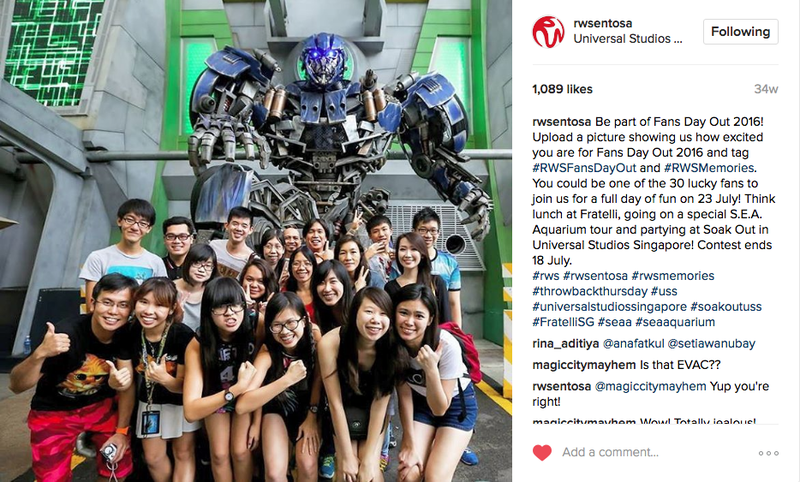 If you want to win entries to Fans Day Out please remember to follow RWSentosa (Facebook & Instagram) updates! 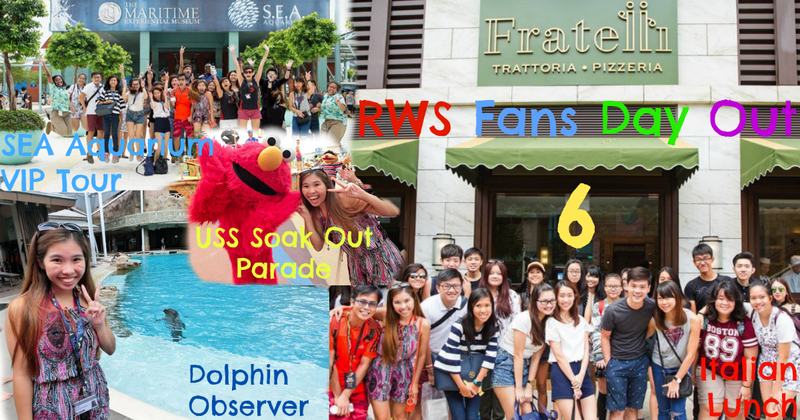 We hope to see you in Fans Day Out 7 this year and hopefully we have the honour to be picked by RWS again! 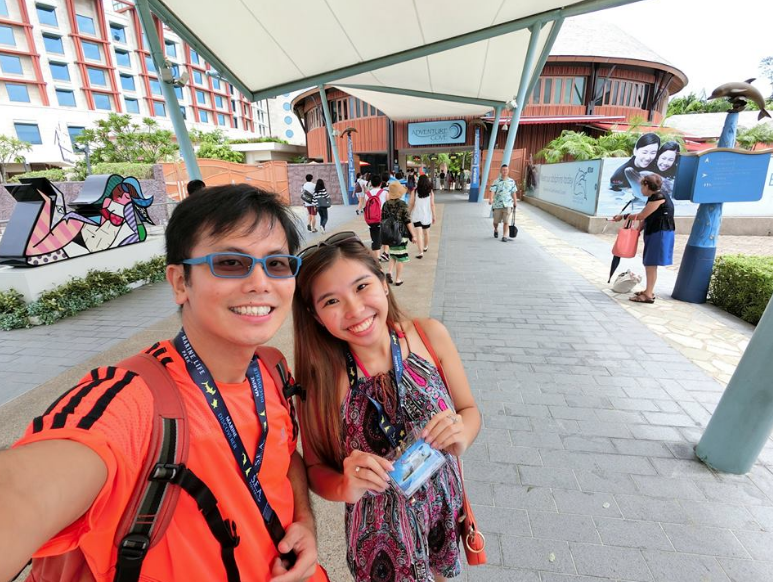 Check out more Fans Day Out 6 Blogpost by Resort World Sentosa! Check out our 360 degree video of the Shark Tunnel Tour and Ship Wreck Tunnel Tour!